During the first month of life, 27.7% of bacteria found in the infant gut derived from breast milk and 10.4% from areolar skin. Bacteria found in mother’s milk and areolar skin seed the infant gut and profoundly influence the development of infant microbiome, according to a study recently published in JAMA Pediatrics. “We sought to determine the role of breast milk and breast-feeding in establishing infant gut microbial communities and found that breast milk contributes 27.7% and breast-feeding an additional 10.4% (from the areolar skin) of the bacteria to the infant gut in the first 30 days [of life],” said Grace M. Aldrovandi, MD, professor of pediatrics, chief of the Division of Pediatric Infectious Diseases at the David Geffen School of Medicine at the University of California, Los Angeles, in an email interview with Infectious Disease Advisor. “Furthermore, we established that the contribution of breast milk to the infant microbiome occurs in a dose-dependent manner,” Dr Aldrovandi added. The 12-month-long prospective, longitudinal study enrolled 107 healthy mother-infant pairs from Los Angeles, California, and St. Petersburg, Florida, between January 1, 2010, and February 28, 2015. The mother-infant pairs were divided into 5 groups on the basis of infant age: 0 to 7 days, 8 to 30 days, 31 to 90 days, 91 to 180 days, and 181 to 365 days. At the time of sample collection, median infant age was 40 days (range, 1-331 days); 85.1% of infants were primarily breast-fed (breast milk made up >75% of their daily milk intake). Bacterial composition of breast milk, areolar skin, and infant stool samples was assessed by sequencing of the 16S ribosomal RNA gene. The study found profound differences in the composition and diversity of bacterial communities present in milk, areolar skin, and infant stool. Pterobacteria were predominantly found in milk, Firmicutes in areolar skin, and Actinobacteria dominated in infant stool. The infants who were primarily breast-fed derived 38.1% of bacteria from breast milk (27.7%) and areolar skin (10.4%), and bacterial colonization from these 2 sources was the most pronounced during the first month of infant’s life. 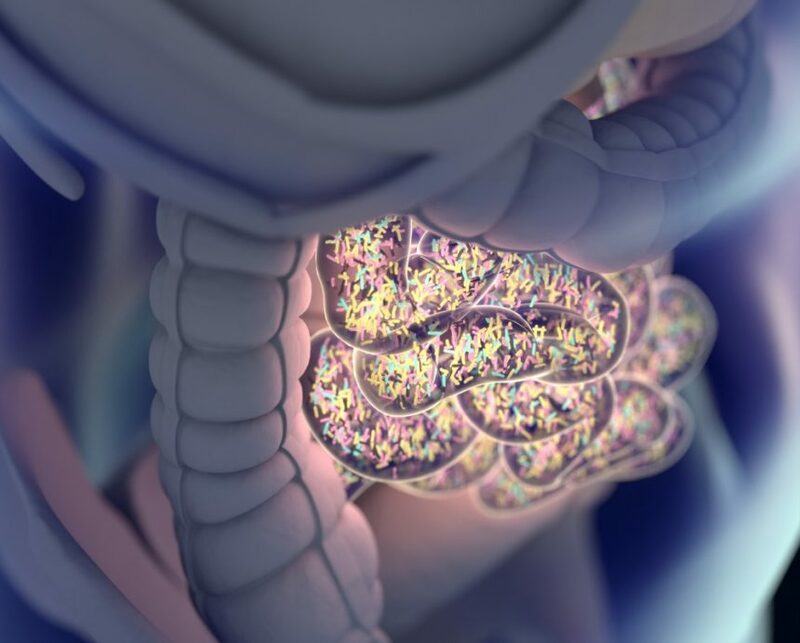 The effect of breast-feeding on gut microbiome composition was notable even after the introduction of solid foods in infants aged 4 to 6 months, and caused early maturation of the microbiota. “We found that continued breast-feeding after solid food introduction suppressed the diversification and enrichment of bacteria typically associated with solid foods,” explained Dr Aldrovandi. Interestingly, the study also established a connection between continued breast-feeding and bacteria associated with childhood obesity and asthma. These findings strike an important note in the light of increasing concerns about the incidence rates of childhood asthma (8.4%) and obesity (17%) in American children. “This work supports and strengthens the evidence for the current guidelines from both the World Health Organization and the American Academy of Pediatrics for exclusive breast-feeding for the first 6 months of life with continued breast-feeding for at least 12 months,” concluded Dr Aldrovandi.